We live in a single story ranch home that was built in the 1970's. 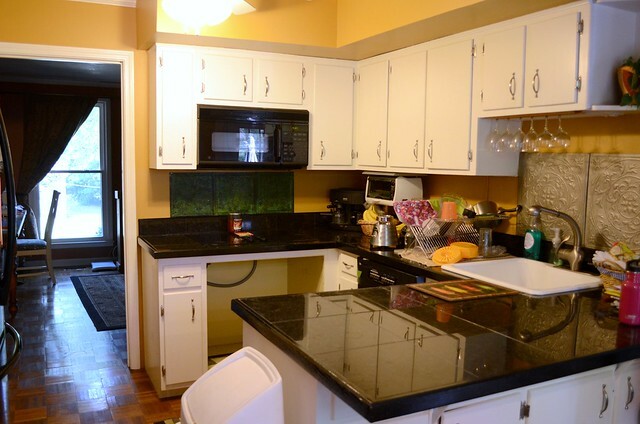 We painted the cabinets, walls, and replaced the countertops about 7 years ago. We did the countertops ourselves. We used granite tiles and wood trim painted black. It gave the space an updated look, but over time the wood is always getting knicked and always looks like it needs to be repainted. 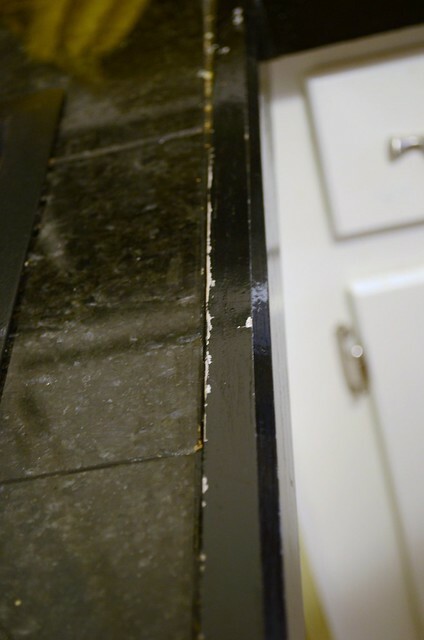 The tile is uneven in places and has cracked in one place. 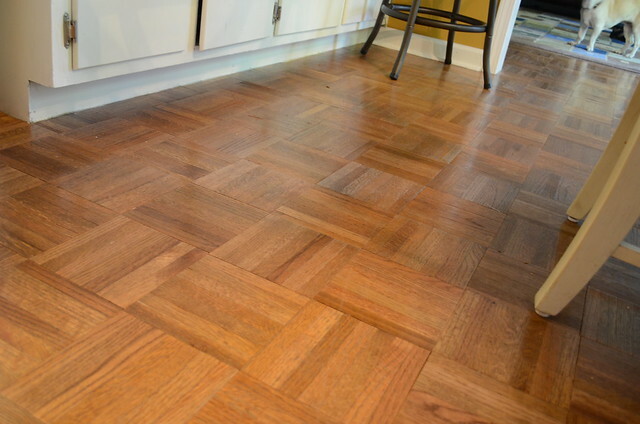 The flooring is parquet that requires waxing. Let's just say I am most excited about replacing the flooring. I know I will regret saying this, but I can't wait to be able to mop my floors. About 3 weeks ago my oven exploded. Okay, not really, but I was preheating it and I heard a loud pop. The oven would not turn on at all. So Mitch pulled it out opened it up and could not figure out what was wrong with it. It was pretty old and not the best oven. We were planning on eventually replacing it anyways so we decided that we did not want to spend the money to get someone to look at it not knowing if it was even fixable. We put it on the curb and it was gone that night, so hopefully someone was able to save it. We have come up with about a million different ideas for the space. Mitch and I are both very indecisive, so deciding on an actual plan has been the hardest part of thinking about a kitchen remodel. Since we were still saving money and not actually ready to do the remodel, we were not forced to make a decision. The whole oven incident has made us start seriously thinking about the kitchen remodel. Well, over Labor Day weekend Mitch decided that we would definitely be moving the door from the garage into the house. 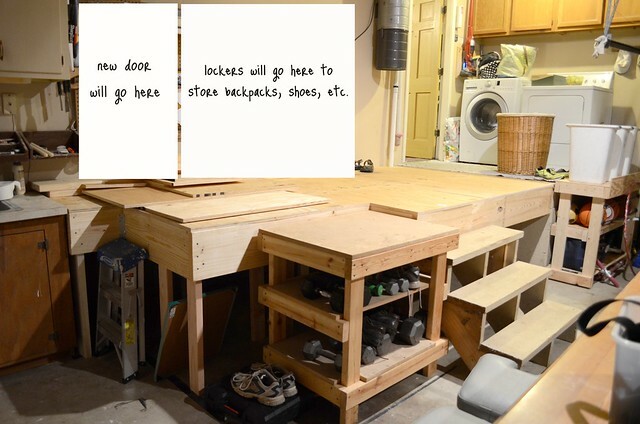 We enter the house through the garage into the kitchen. We are planning on moving this door over so that we have more wall space in the kitchen. 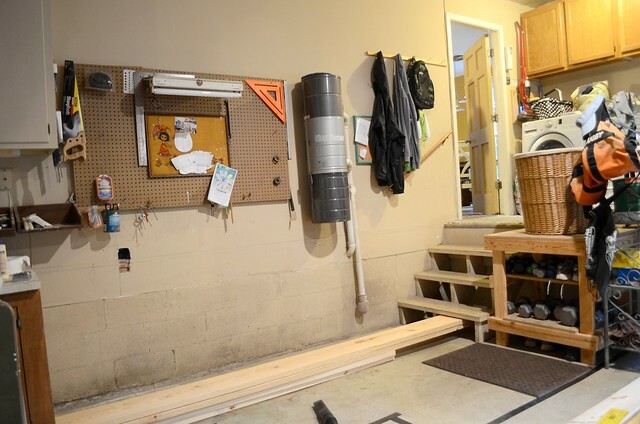 So he started building a landing that would span almost the width of the garage. 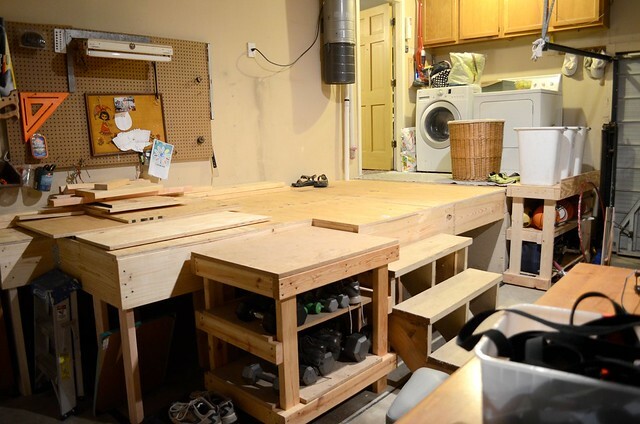 This would enable us to have a space that could act as a mudroom, pantry, and laundry room. Here are some photos of the progress so far. Please don't judge me on the appearance of our garage. It really is out of control. Our original plan was to build a storage shed, but it is on hold for the time being. This is our garage before. We still haven't decided exactly what we are doing, but I thought I would document the process here. Who knows maybe one day I will have a magnificent kitchen remodel to reveal. WOW! this is wonderful. congrats on the remodel. CAn't wait to see it all come together.